This is a very rare plant, found only on La Gomera and now thought to be reduced to just a few dozen plants in the wild. But it is such an attractive plant that I would hope that its ornamental value will ensure its survival in cultivation. It is a statice but not as we know it – Jim. 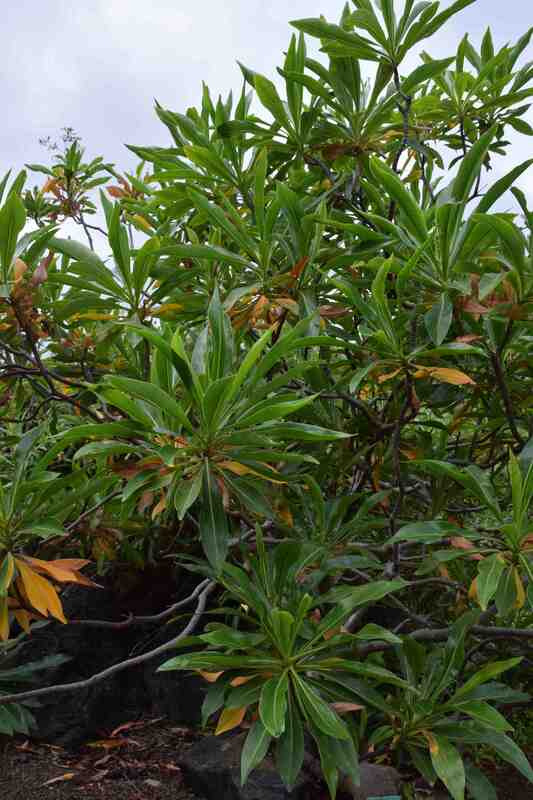 We are used to annual or herbaceous statice but this one is a shrub, up to about 2m high and a bit more across. 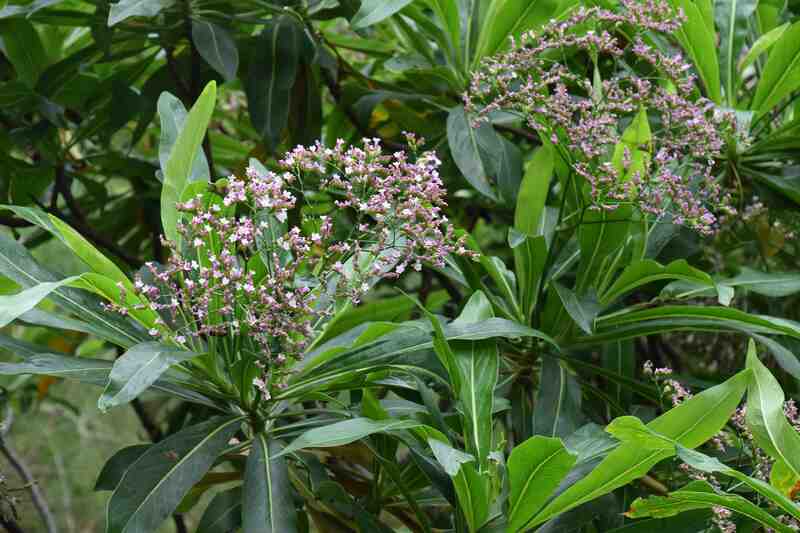 The sinuous branches end in clusters of deep green, glossy leaves and it is evergreen. When flowering the stems produce twiggy clusters of lavender, small flowers. Again it is a plant that doesn’t need high winter heat but it must have perfect drainage and a frost-free winter. I think that it seeds were available it would make a good container plant for colder climates.